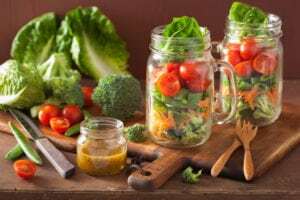 Storing greens, after we purchase or grow is something we’re never taught, and there’s nothing more disheartening than opening the produce drawer of your refrigerator to make a salad and find that your lettuce has turned to a soggy mess. Or maybe you’re craving a green smoothie, and the kale is nothing but a shriveled glob. 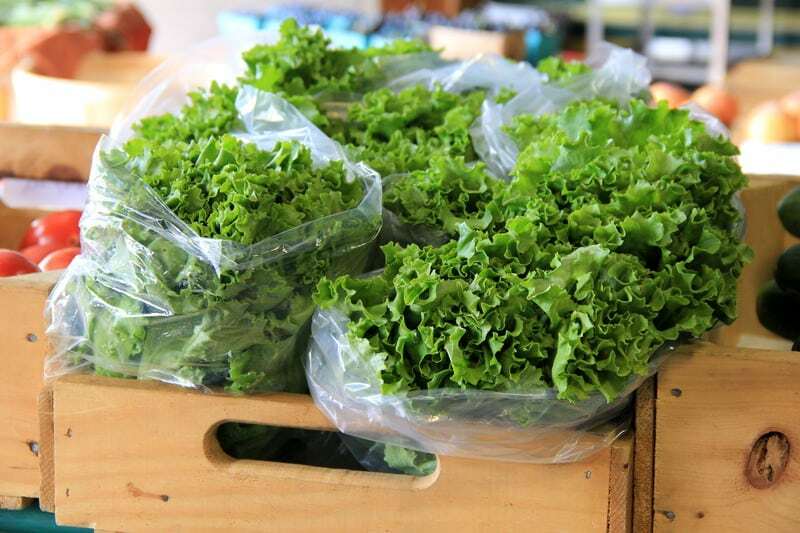 Properly storing greens maximize freshness and nutrients. There is a reason most refrigerators have at least two produce drawers. Many fruits such as apples and grapes give off ethylene gas which might help bananas and avocados ripen faster but will ruin your lettuce and other greens very quickly. Use one drawer for storing greens and the other for fruit. I know, this seems counter-intuitive. You want moisture in your lettuce, but not on it when you store it. Invest in a salad spinner or dry the leaves with paper towels before storing. Was anyone else told that cutting lettuce with a metal knife will cause it to brown faster than using a plastic knife or hand tearing? Cook’s Illustrated found that lettuce cut with a metal knife started to brown after 12 days. Lettuce cut with a plastic lettuce knife lasted 13 days and hand tearing at 14 days. Conclusion, if you are cutting it to use within a week or so, don’t worry. And, there is no harm to eating lettuce that is beginning to brown even though it looks unappealing. 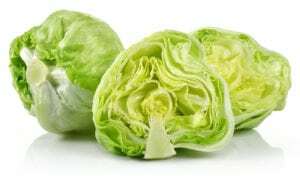 Storing lettuce with a compact head, such as Iceberg, or cabbage couldn’t be easier. Remove the core, wash in cool water, then allow the head to drain completely. Finally, wrap it in paper towels and place in a ziplock bag with as much air removed as possible and place in the crisper drawer of your refrigerator. For the cabbage, just rinse it and place it in the crisper drawer in the refrigerator. Do not cut until you are ready to use. For leaf lettuce, you want to take the leaves off the core and rinse them completely in cool water. Then you need to dry in a salad spinner or shake them and blot with a paper towel. The problem with storing it in the salad spinner is it takes up quite a bit of room. Storing in the ziplock bag can cause the leaves to get crushed depending on where it is stored. I have a few green vegetable storage containers for lettuce that will be used on sandwiches. But often I prepare 4-6 mason jar salads (see Rule 6) for the week on delivery day. My lettuce (and the rest of my salad ingredients) are still fresh a week later, and it is nice just to dump the contents in a bowl and add dressing and any other ingredients at meal time. Ready to go means it doesn’t sit around long enough to go bad in my house. Other greens such as spinach, kale, Swiss chard, mustard or collard greens can be stored like the leaf lettuce with one optional extra step. For those greens with thick stems that you are going to discard anyway (like kale) remove the stems when cleaning to save storage space. Like the mason jar salads, I am more apt to toss a handful of kale in my scrambled eggs if it is ready to go.